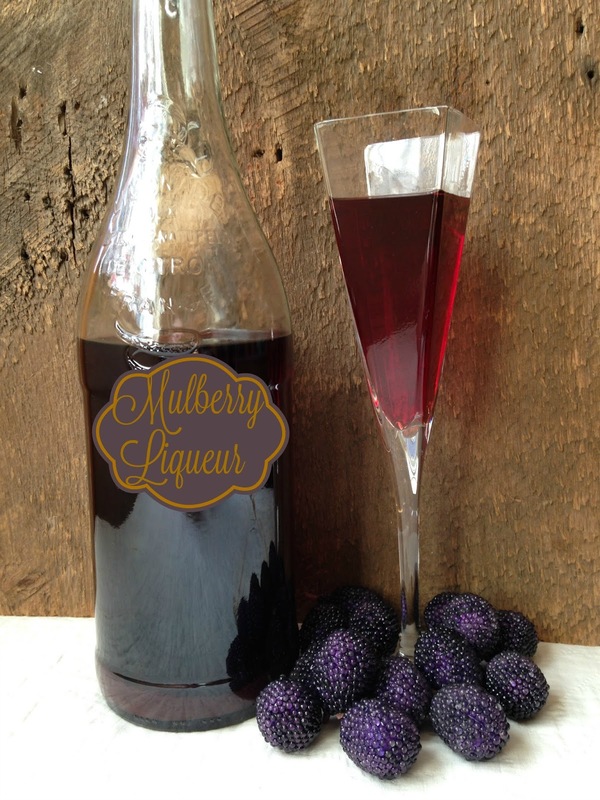 I made Mulberry Rhubarb Liqueur last summer when rhubarb and mulberries were in season. I buy my rhubarb at my favorite farm, Nicolet Farms, located on Hwy 64 in Suring WI. 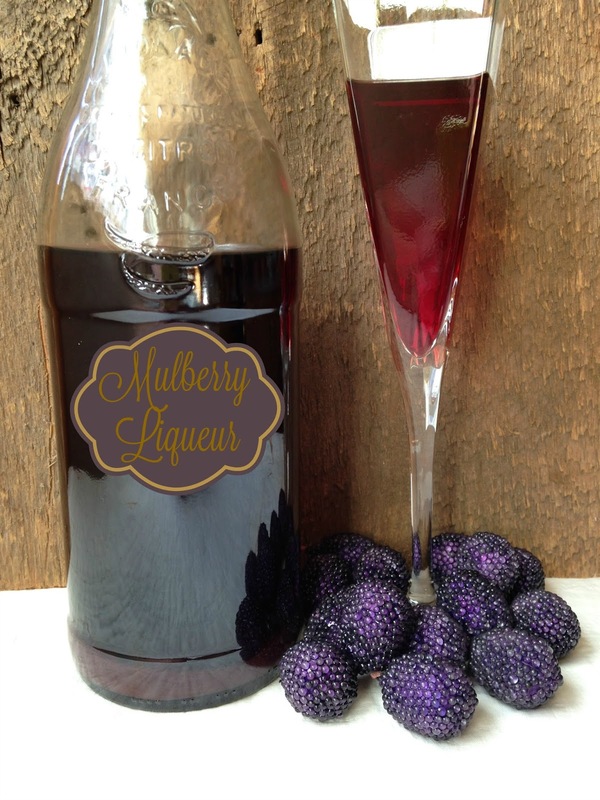 If you are privileged like I am and have a son and daughter-in-law that have not one but three Mulberry trees on their property, then your in luck, if not then you’ll have to check around in your area for Mulberries or you can substitute blueberries or blackberries. Nicolet Farms is a family-owned muck farm located on the border of the Nicolet National Forest. Our motto is “Locally grown, Locally sold.” Our on-farm store provides customers with a seasonal cornucopia of choices ranging from carrots, beets, potatoes, onions, beans, apples, tomatoes, pickles, broccoli, kohlrabi, honey, pumpkins, squash, garlic, rhubarb, rutabagas, corn-on-the-cob, and horseradish. We also sell beef halves and hamburger. Call for availability. Open year round. Made in the summertime so it would be ready in time for the Holidays! Put mulberries in a large clean jar and pour vodka on fruit until fruit is covered. Cover jar tightly. Set in a cool, dark place for 1 month. Strain the alcohol to remove all seeds, stems and fruit. Pour strained mixture into a large glass jug or jar. Add the sugar and stir well. Cover and store in a cool, dark place for 4 to 6 months, stirring everyday for the first 2 weeks. After the 4 to 6 months are up, strain again into decorative bottles. *Amounts given can be changed to suit your own personal preferences.